The following colorful and insightful stories are provided by Tom Martin, a Deadeye son. They were written about his dad, Deadeye, Woody Martin, and one of his dad’s best friends and buddies in combat: Navy Lt. George Kern, also a Deadeye. Martin's stories also include other Deadeyes and vets in and around Shawneetown, Illinois. 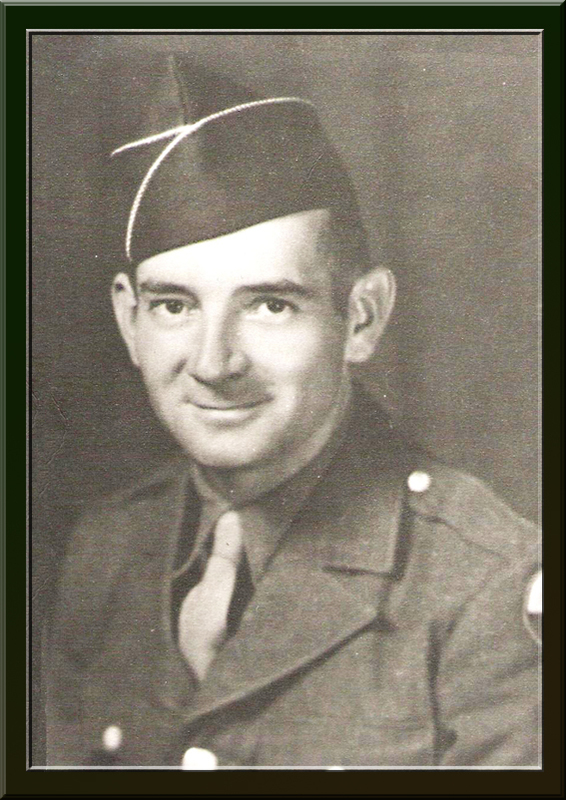 Martin and Kern's ”JASCO” unit was attached to the 3rd Battalion, 383rd Regiment, 96th Division during combat operations in both Leyte and Okinawa. Pdf files can take a few minutes to download, and you can view them as large as you like. These stories are well worth the wait! 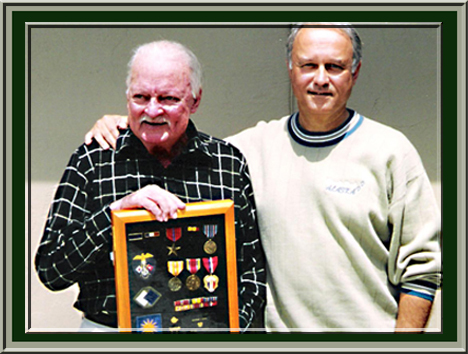 This picture was taken in San Diego around 2003, and was Tom’s first meeting with George Kern after twenty years of telephone calls. 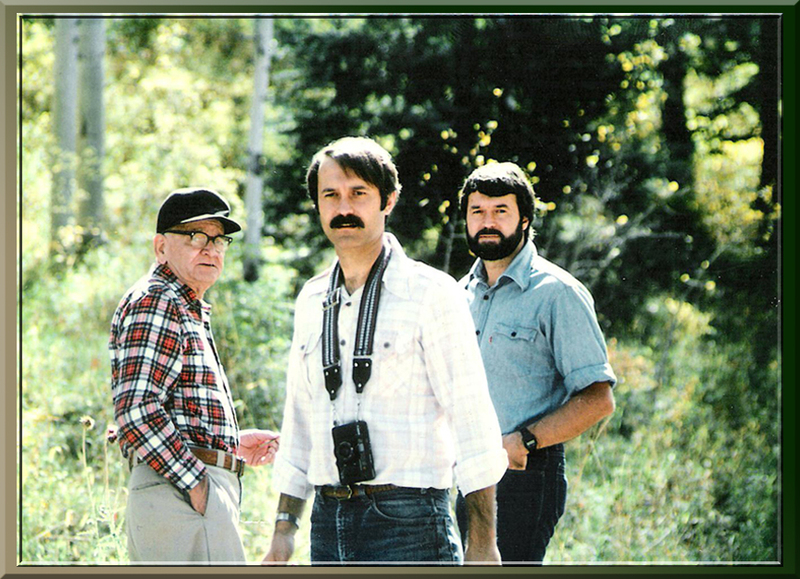 George never got the chance to connect with Woody, as his call came in to his home after his death in 1982. 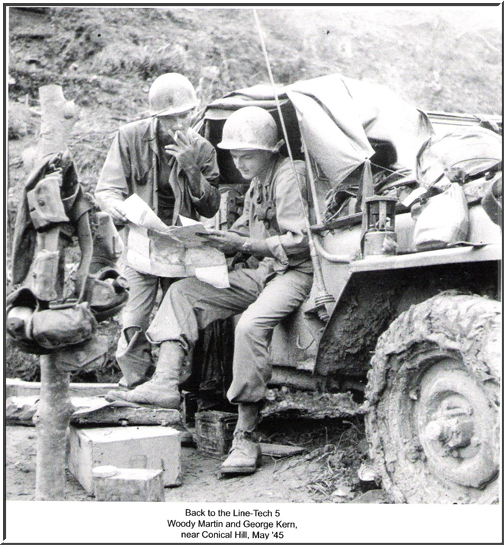 Author Tom Martin's stories include many Vets from around Shawneetown, Illinois. He provided this newspaper article about Sgt. 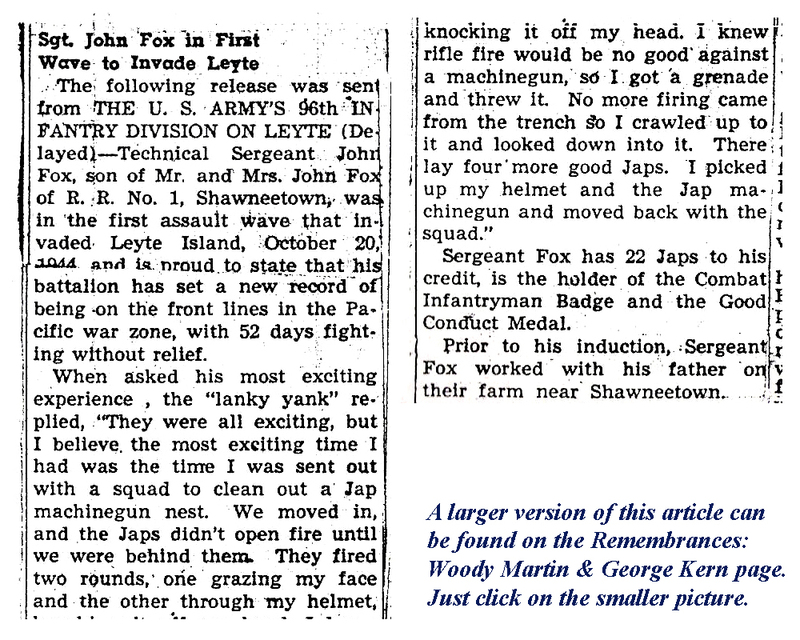 John Fox, also a Deadeye, who fought in Leyte. It's like O'l Diz use ta say, " If you dun it, it ain't braggin'!"